Whether you're vegetarian, vegan, or just trying to cut down on meat, veggie burgers make a tempting, filling meal. And as Martin Nordin explains, they're far from boring - in fact, because there are no rules or blueprint, you're free to push the burger boundaries. 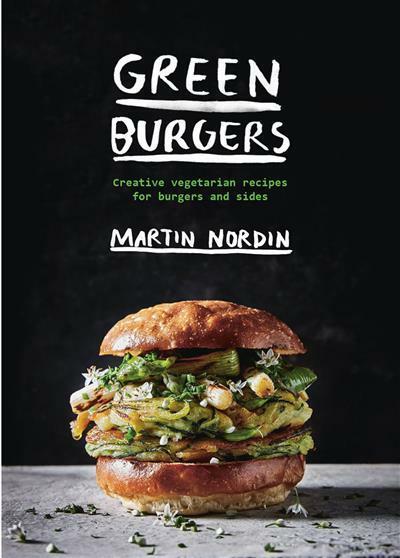 In Green Burgers, Martin shares recipes packed full of flavour and nutrition - from the classic BBQ Portobello Burger to the Courgette Burger with Wild Garlic. Experiment with unexpected flavours such as Courgette Kimchi and Deep-Fried Plantain. The delicious patties are just the beginning - try making your own Charcoal Burger Buns, top your burgers with Purple Cabbage and Apple Sauerkraut, and serve with Roasted Sweet-Potato Chips. With chapters on burgers, buns, sides, pickles and sauces, Green Burgers has all you need to make the perfect plant-based burgers and sides at home.